My first real epiphany in the dessert realm was making raw cakes. It was a natural step that I should make them even more digestible by using fermented nuts in the filling, making the cakes lighter and even easier to digest. 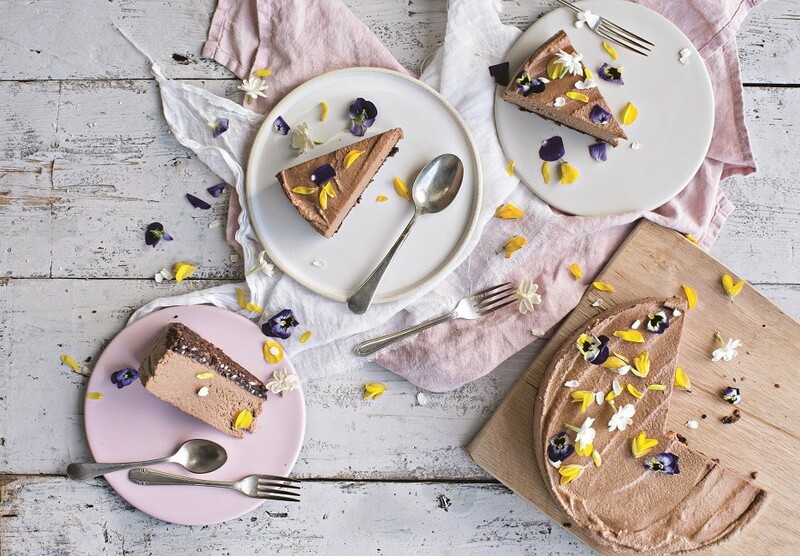 The Cultured Club’s chocolate celebration cake recipe has been known to take on many forms and flavours. 1. To make the crust, process the almonds to a powder in the food processor. Add the cacao powder and blend again. (You can add in a few other superfoods now, such as maca, camu camu and some cacao nibs, but this is optional.) Add the dates gradually and process until the mixture starts to come together as a sticky dough. You might need a few more dates to help it bind together. 2. Line a 20cm springform cake tin with cling film and press the dough evenly into the bottom of the tin. Place it in the freezer to harden while you make your filling. 3. Put all the filling ingredients into a high-speed blender and blend until ultra-smooth. Grab your base from the freezer and pour the filing into the tin, spreading it evenly over the base. Put in the freezer for one hour to set – if you can wait that long. Any leftovers (what leftovers?) will keep in the freezer for a month. 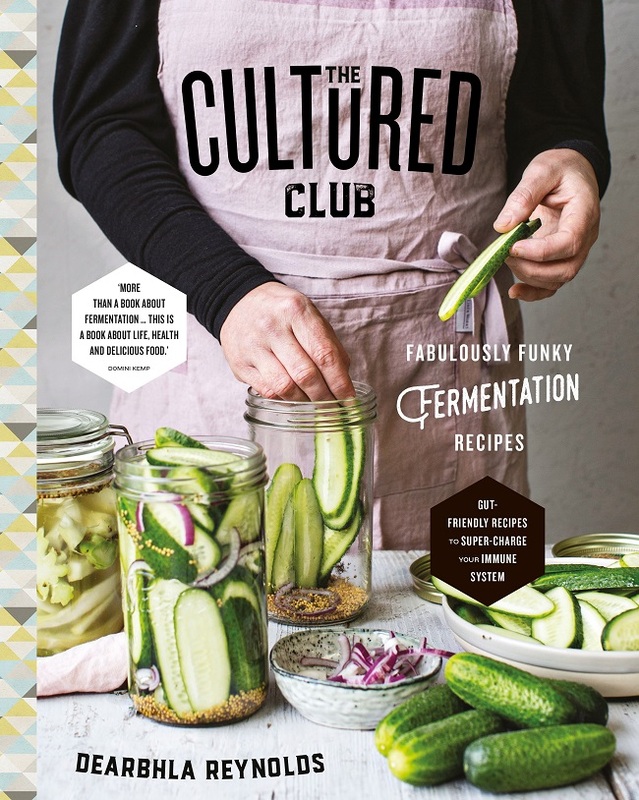 In her first book, The Cultured Club, fermentation expert Dearbhla Reynolds teaches you how to turn simple ingredients into superfoods by using one of the world’s oldest methods of food preservation. Human beings are known to have made fermented foods since Neolithic times, but we have evolved away from fermentation, mostly because needs no longer dictate. As life became more convenient, this crucial life skill dropped off the menu and pickling, canning and pasteurisation took over. But the practice of fermentation is currently undergoing a huge revival as people recognise its health benefits and seek to learn more about the craft, and the science behind it. In The Cultured Club, Dearbhla will teach you the history and art of fermentation and how to turn simple ingredients into superfoods. Learn about gut health and basic fermentation techniques, and experience the vibrant flavours of foods and drinks such as kimchi, sauerkraut, fermented salsa, kombucha and kefir. Get your copy of The Cultured Club, published by Gill Books, here.